You know how you can be a reader your whole life, but never stumble onto one of the greats for years? That happened to me with Graham Greene. I’d never heard of him until I was assigned The Quiet American as one of my first assignments in grad school. The book hit me, hard. How can it be like a work of poetry and a mystery and a history civic lesson at the same time? Why did this novel teach me more about the beginnings of the Vietnam War than my high school civics class? How had I not heard about it before? When he died in 1991, The New York Times called Greene a novelist of the soul, and called his novels works of suspense and moral ambiguity. And that is true, but that’s not why I read him. I read Greene to travel without moving. A journalist and spy who traveled widely, he wrote more than 25 books over the course of four decades. Reading his work is a trip across the globe and through 20th century history. For me, Greene is the Doctor, and his books are his TARDIS; I pick up one book and I’m in Mexico in the 1930s. Another, and I’m in Saigon in the ’50s. Because he wrote so prolifically, it can be hard to know where to start with him. Here are my recommendations. 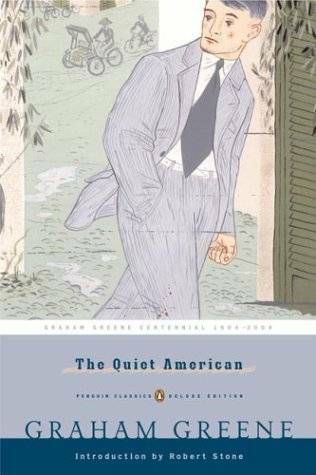 The Quiet American – If you only read one Greene book, let it be this one. The novel bridges genres: literary fiction, historical fiction, and suspense. Set during the French occupation of Vietnam, the story follows an aging British journalist, a man who is in love with the country itself and with a young Vietnamese woman, although he is unable to marry her because he’s married to a Catholic and she won’t give him a divorce. Then a young American man who shares both his passions arrives. This is Greene’s 17th novel, but you should read it first because it’s an introduction to some of Greene’s favorite themes, although it does not dwell on them. Instead, the story begins with a mystery: a floating body, and moves on to discuss French Colonialism in Vietnam and explore the precursors to the Vietnam War. 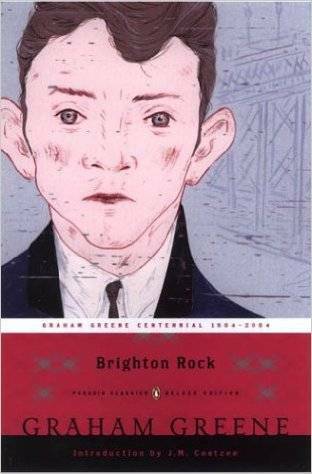 Brighton Rock — Set in the ‘30s in the British resort town of Brighton, Brighton Rock follows a gang of criminals and the self-appointed sleuth who has made it her job to foil them. The novel centers on two fascinating characters: Pinkie, a truly frightening 17-year-old sociopath who is totally fine with being a mortal sinner because he’s got a super-power: he’s Catholic. All he has to do, he thinks, is confess his sins, and he’ll be saved. Pinkie, however, is terrified by one thing: human connection, and when his crimes force him into a relationship, he finds himself in a living hell. The second protagonist is Ida, a boozy middle-aged hedonist. She is intent on tracking down Pinkie and ending his reign of terror. Why? Because stopping him will be fun for her. This novel is a pretty chilling examination of morality. 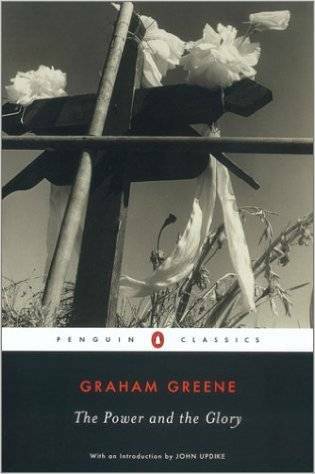 The Power and The Glory — Of all the Graham Greene books I’ve read so far, The Power and the Glory is the Graham Greeniest. The Power and The Glory is set in Mexico during the anti-Catholic purges of the ‘30s. The protagonist is the last priest in the Tabasco region, on the run from the police, who have killed or driven out all the other priests. The priest, who is never named, spends his time hiding in the forest, or the villages. He’s homeless, he’s an alcoholic, and he’s desperate to get out of Tabasco (not only because he’s afraid of dying, but because as the last priest in the region there is no one for him to confess his sins to before he dies, and as a man who has been on the run for years, he’s done a lot of sinning). I was raised Catholic, but I’ve never been very good at being one. This book taught me more about the importance of confession to Catholics than any of the lessons I had in Catholic school. Think of these three books as recommendations to get you started. If you find that you’re into Greene’s work, there’s so much more to explore: 1940s Sierra Leone in The Heart of the Matter, World War II London in The End of the Affair or a road trip through post-Franco Spain in Monsignor Quixote. Come on into the Graham Greene TARDIS, guys. There’s so much to see.